The quadrature modes (90 degree and 270 degree phase offset) may be useful in directly driving Quadrature Sampling Detectors (QSD), also known as Tayloe Detectors (or modulators). The QRP Labs Receiver module kit and many SDRs use this detector. Usually a 4x Frequency VFO is required, which drives a divide-by-4 circuit using a dual D-type flip-flop chip such as the 74AC74. Generating quadrature directly eliminates the need for the 74AC74. It may potentially allow receiver operation up to much higher frequencies, since the 74AC74 cannot go beyond the 10m band (28-30MHz) but the Si5351A chip can generate quadrature LO signals right up to its upper frequency limit of 200MHz (datasheet specification). The accuracy of the quadrature phase shift at VHF remains to be seen (tested). So far QRP Labs have tested the Si5351A directly driving a QSD in a homebrew 40m CW transceiver, with excellent results. It is at least as good as when using a 74AC74 and 4x LO (see below right). The experiment was repeated in a 20m CW transceiver with the same result. As usual the new firmware version chip is available in the QRP Labs shop here; or if you have AVR programming equipment you can download the .hex file and upgrade your existing chip, from the QRP Labs group. I am hearing of an increasing number of VHF and UHF beacons being upgraded using the Ultimate3S transmitter kit as a multi-mode exciter. Glenn N6GN reports that on 16-Mar-2017 the new Hawaii Big Island 70cm multi-mode beacon KH6HME was copied on the US mainland in California by two stations N3IZN and W6IT, using WSPR and JT9. A distance of over 4,000km! The KH6HME multi-mode beacon project was masterminded by Glenn N6GN, and implemented together with local amateurs in Hawaii. The legacy 70cm beacon at KH6HME was CW only and it was felt that adding weak-signal modes would aid the discovery and understanding of 70cm propagation openings over the Hawaii-Mainland path. Now going even to higher frequencies, MUCH higher in fact - the first ever Opera reception on 24GHz was reported on 20-Mar-2017 over a path of 268km. The ED5YAE beacon is located at JM08AT. It was received by Iban EB3FRN at grid locator JN01MC, a 268km sea path without land obstructions. 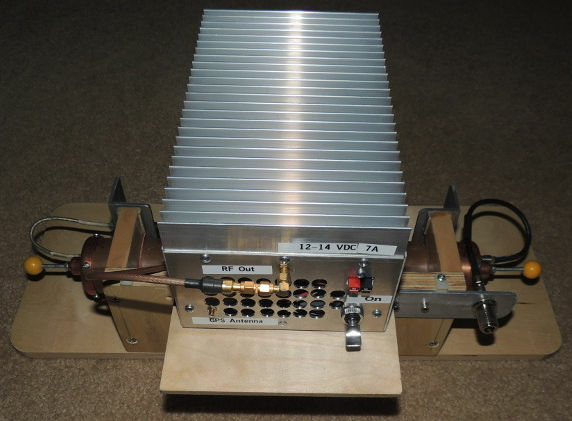 The ED5YAE 24GHz beacon uses an Ultimate3S transmitter kit operated at 144MHz, and feeding a transverter with about 1W output on 24GHz into a horn antenna. The transmission includes CW, Opera05, and a solid carrier section. The Ultimate3S kit is most often used for WSPR transmissions so it is nice to see some activity on other modes. Now another nice reminder of all the things (other than WSPR) that the Ultimate3S transmitter kit is capable of! The first 60m QRSS G-ZL reception was reported on 22-Mar-2017. Keith G6NHU's Ultimate3S on 60m with about 250mW from the East coast of England was copied in New Zealand by Pete ZL2IK. The same again the following evening (see screenshot, below). This image is obtained by the averaging (or "stacking") technique, where in this case 7 consecutive 10-minute frames are superimposed, re-enforcing the wanted signal and averaging out the noise. Precise timing at the Ultimate3S transmitter and the receiving station's decoding computer make this possible. So it you've so far only used WSPR on your Ultimate3S transmitter kit - why not try some of the other modes the kit has to offer? Remember that the kit can transmit: conventional QRSS modes (QRSS, FSKCW, DFCW), CW, Slow-MFSK Hellschreiber and standard Hellschreiber, WSPR (and WSPR-15), JT9 (all variants), JT65 (all variants), ISCAT (A, B), PI4, and Opera (all variants). RTTY and JT4 are coming soon also! 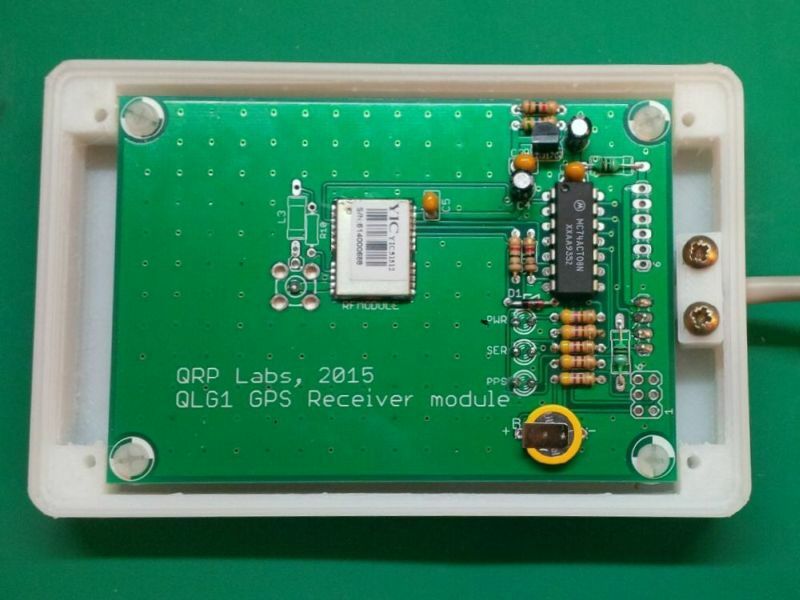 Chris OE1CGS has designed a beautiful 3D printable enclosure for the QLG1 GPS receiver kit. The QLG1 GPS receiver has very high sensitivity due to the large PCB groundplane under the onboard ceramic patch antenna. But however sensitive it is, you can't beat the physics - in this case Faraday's cage! If you put an antenna inside a metal enclosure the RF cannot get in. These are the rules! 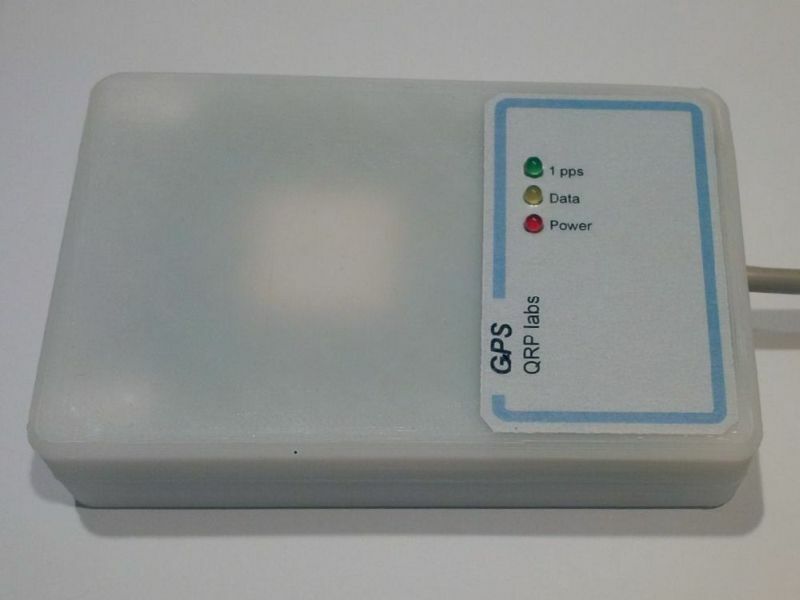 Hence the QLG1 GPS receiver cannot be installed inside the QRP Labs Ultimate3S aluminium enclosure (for example), unless an external GPS antenna is used. The need for a non-metalic case then arises for most constructors. Chris OE1CGS solved this problem with his stylish 3-D printed design made from ABS plastic. If you own or have access to a 3D printer, you can use the model at http://www.thingiverse.com/thing:2167408. A new firmware release pr1.01 (subsequently updated to pr1.01a, to fix an initialisation bug fix) includes the option to configure the ProgRock (programmable crystal replacement) kit using a serial port. Custom manufactured crystals are becoming harder to obtain. In March 2017 International Crystal Manufacturing (ICM), a US custom crystal supplier, went out of business. The ProgRock kit can provide a useful alternative to a custom-manufactured crystal in many applications - as well as being cheaper, providing multiple outputs with optional GPS discipline, and being re-usable by reprogramming it to other frequencies if you need to do so in future! The addition of the serial port configuration facility adds another method to configure ProgRock, potentially simpler than the DIP switches; it may also open up new applications where a remotely adjustable synthesised frequency is required. Bob ZL1RS reports that as of 30-Mar-2017 his ocean floater has been in the South Pacific for 316 days! An amazing endurance! 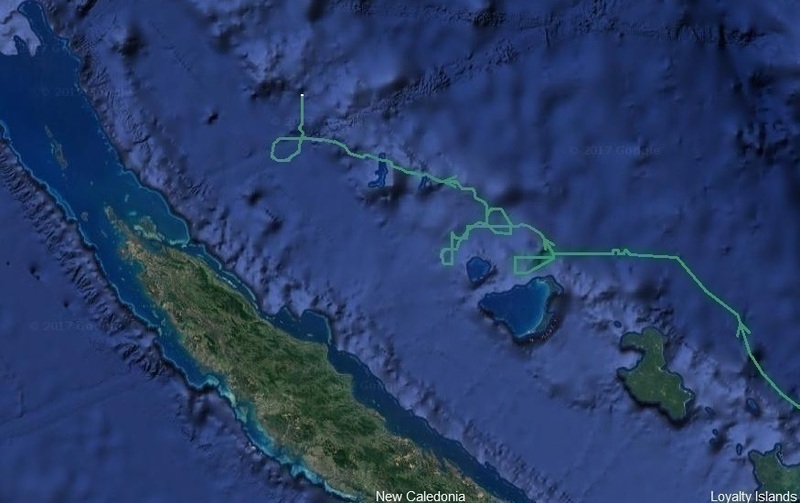 The current position is RH20NN, about 100km North East of the northern end of New Caledonia. 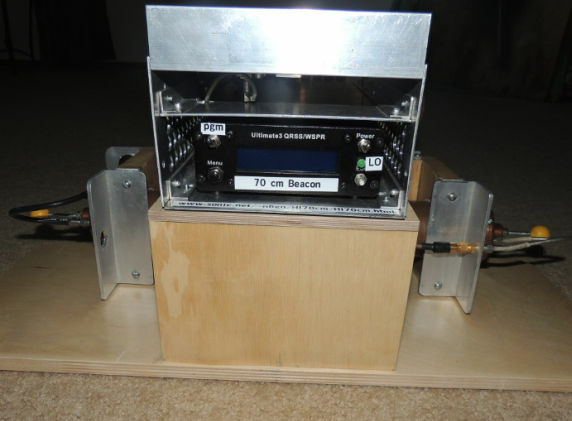 The Ultimate3S-based transmitter on board transmits WSPR and JT9 once per hour. Bob reports that the battery discharge is accelerating quickly now. The battery pack consists of 18 alkaline D-cell batteries. As the battery voltage declines, the current drawn increases more and more. Dave VE3KCL launched his Ultimate3S-based flight S22 on 17-Mar-2017 and it quickly climbed to altitude and headed south-east, crossing the US and out over the Atlantic. There were no transmissions in the first hour or so of the flight as it was very early morning and the sun angle was not enough to provide sufficient power to the solar cells. However there appears to have been a balloon leak, Dave thinks this batch of balloons from the manufacturer has defects along its perimeter seals. S22 started a long slow descent and the flight was over after 8 hours, landing in the Atlantic ocean. Mikeal SA6BSS launched his Ultimate3S-based balloon flight BSS4 on 26-Mar-2017. It is transmitting WSPR on 20m and 17m; there is also a JT9 transmission on 20m containing the altitude. At time of writing (30-Mar-2017) the balloon was off the coast of Algeria at an altitude of around 9,000m, and should soon be beginning a North Africa tour and heading to the Middle East next. Peter G3HSO is currently in the Caribbean and will be sailing a 13.7m / 45ft boat across the Atlantic, planned to start in early April, arriving in the UK in May 2017. He will be using an Ultimate3S to transmit his location on 20m WSPR, with callsign G4HSO/M on the water (/MM not technically possible due to WSPR protocol limitations). We hope to provide a live tracking map on the QRP Labs web page. Please watch the https://groups.io/g/QRPLabs for updates.